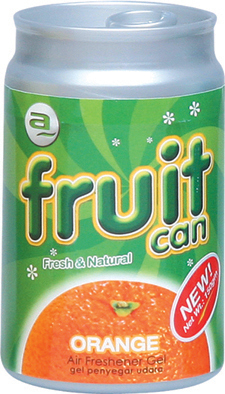 Fruit Can, the air freshener gel that freshens up your carsand rooms with the natural scent of fruits. With water based formula, it is non-flammable and environmental friendly. Visit w w *** for more product information.